The 2011 Statistical Abstract of the United States recently released by the U.S. Census Bureau [www.census.gov/compendia/statab/] should brighten the day of organic food advocates. 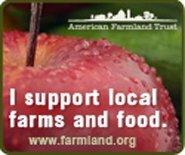 Organic farmland in the United States has increased from 1,776,000 acres in 2000 to 4,817,000 in 2008, an increase of 171.2%. Still, there is the sorry statistic also reported that Americans ate fewer vegetables: 392.7 pounds per person in 2008, down more than 30 pounds since 2000. On the plus side, Americans also ate less red meat: 108.3 pounds per person in 2008, down 5.4 pounds since 2000. Artist, Jennifer Daniel, has illustrated some of the intriguing results shown in the 2011 statistical abstract in a report in the New York Times: [www.nytimes.com/interactive/2011/01/07/us/CENSUS.html?ref=us]. Maria Rodale in her passionate Organic Manifesto (Rodale, Inc. [distributed to the trade by Macmillan], New York, New York, 2010) noted that “Chemical farms are in production on about 930 million acres in the United States and 3.8 billion acres globally.” In contrast, with 13,000 certified organic farmers in America, and a few thousand more who are organic but uncertified, Ms. Rodale observed that organic farming practices are in use on only 4 million acres in the United States and 30.4 million acres globally. Still, this recently reported increase to nearly 5 million acres of organic farmland in the United States is a welcome sign of progress.